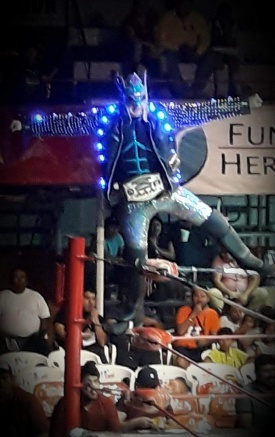 Nuevo Laredo area luchador técnico. Has wrestled in Arena Coliseo Monterrey, Arena Solidaridad, Plaza de Toros Monterrey, Arena Monclova. In cities such as Torreon, Reynosa, Ciudad Victoria, Mexico City, Durango, Piedras Negras, y in USA cities like Dallas, Houston, San Antonio, Mc Allen, and Brownsville. Participates in 7 televised events with Triple A and 3 televised events with the Texan promotion RCW. This page was last edited on 22 February 2019, at 22:47.